Sony just held their first Nintendo-Direct-style PlayStation State of Play presentation, and it was a bit light on news, but Mortal Kombat 11 did show up with a fun new trailer. MK11’s story is going with a time-travel theme, and so we get to see numerous characters take on their younger 16-bit-era selves. The trailer also serves as official confirmation that classic Kombatants Liu Kang, Kung Lao, and Jax will be making their return. 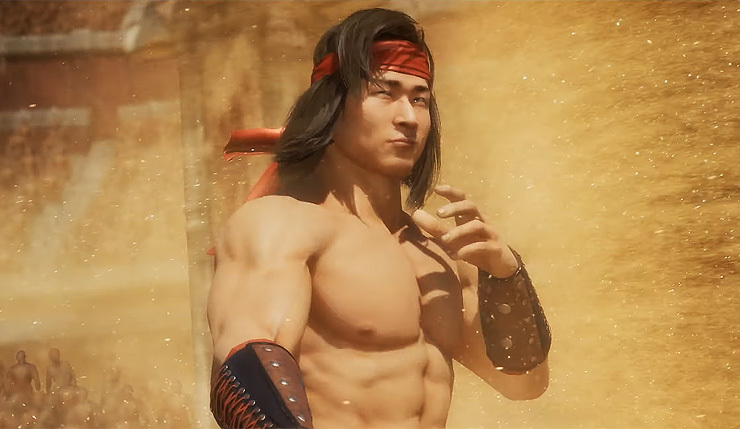 We’ve already seen Liu Kang and Kung Lao in other trailers, and, come on, they pretty much had to be part of the roster, but this is the first time we’ve seen Jax in action (although we have seen his daughter throw down). You can check out the trailer, below. Okay, that was fun! It looks like Johnny Cage is going to get plenty of time to shine this time around, and it’s good to know he can still pull off the splits, even at his advanced age. Liu Kang, Kung Lao, and Jax join 18 other confirmed MK11 fighters – Noob Saibot, Kotal Kahn, Jacqui Briggs, Cassie Cage, Erron Black, Scorpion, Raiden, Sub-Zero, Sonya Blade, Skarlet, Baraka, Kano, Kabal, D’Vorah, Jade, Johnny Cage, new character Geras, and DLC fighter, Shang Tsung. Of course, those are only the ones NetherRealm has officially announced – the game’s full launch roster seemingly leaked earlier this month. Get the full rundown here. Mortal Kombat 11 slices and dices on PC, Xbox One, PS4, and Nintendo Switch on April 23. The closed beta kicks off on March 27 at 8am PT and continues until April 11.